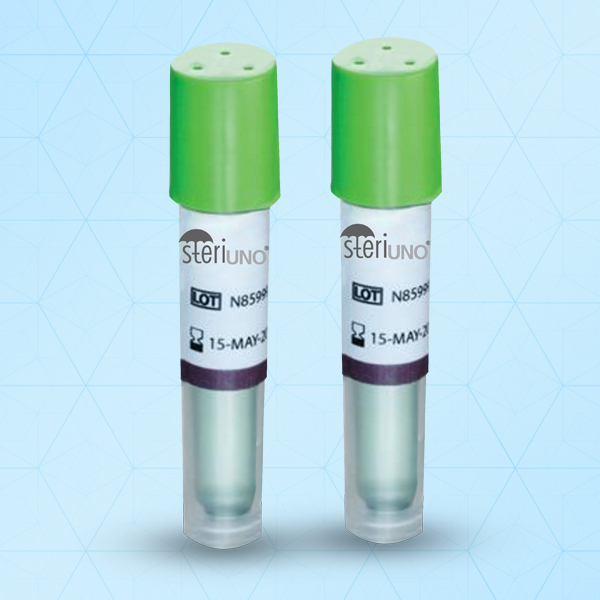 SteriUNO® Self-Contained Biological Indicators for monitoring Ethylene Oxide sterilization processes provides fast, Visible, Consistent & reliable result of effective EO Sterilization Processing. Chemical indicator on label provides instant indication of exposure. It Is Complaint with ISO 11138-1 & 11138-2. Due to small size 9mm X 50mm, designed to fit in challenging Sterilization areas.